This week’s gene is Beta-Klotho (KLB). To be honest, I chose to write about KLB because it sounds like it belongs in Game of Thrones. 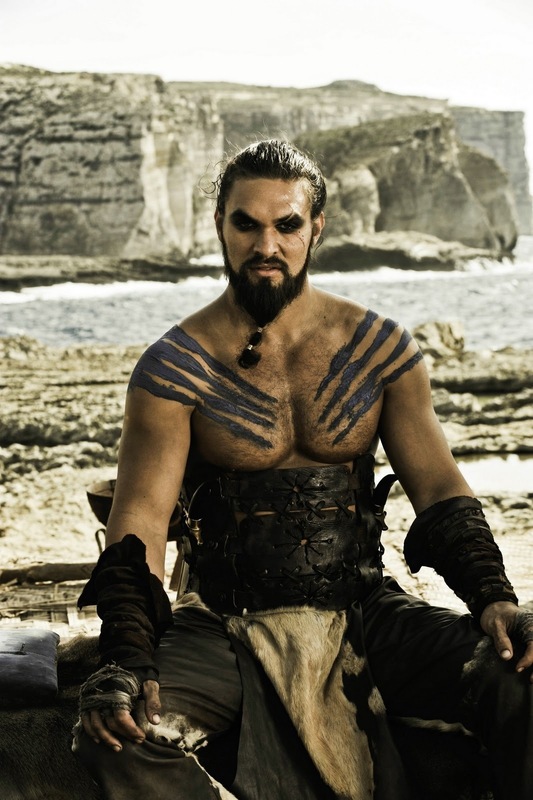 Khal Drogo is made of Beta-Klotho!!! 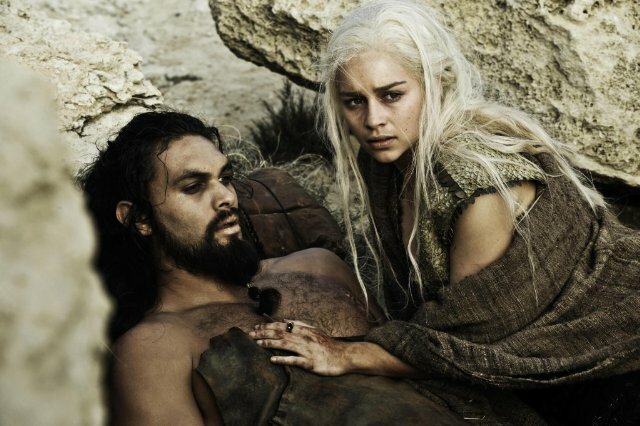 Khal Drogo suffers from a de novo KLB mutation. IBS is not a joke. β-Klotho is a scaffolding protein that is necessary for fibroblast growth factor 19 (FGF19) signaling at FGF receptor 4 (FGFR4) and for FGF21 signaling at at FGFR11. 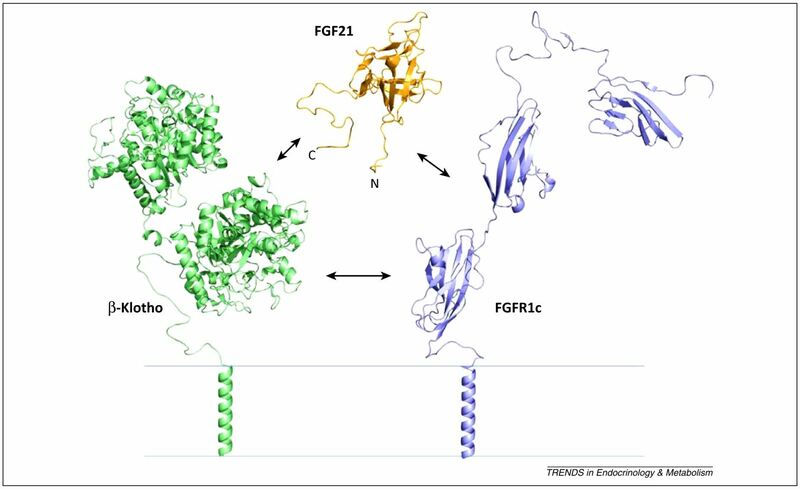 β-Klotho forms a complex with FGFR1 for FGF21 signaling. A similar complex is formed between β-Klotho and FGFR4 for FGF19 signaling. From Gimeno & Moller (2014). Irritable bowel syndrome (IBS) is a common disorder characterized be abdominal discomfort and altered bowel function. There are different types of IBS, including constipation-predominant (IBS-C) and diarrhea-predominent (IBS-D) variations. Even if you are The Queen of Jordan, no one actually wants to hear about your IBS. IBS-D can occur due to rapid colonic transit or excess bile acid (BA) synthesis or secretion. Recently, single nucleotide variants (SNVs) in KLB and FGFR4 have been associated with IBS-D23. FGF19 binds to FGFR4 (with KLB) to down-regulate the expression of BA-synthesis genes. If this down-regulation is disrupted, too much BA will be produced, and you will be uncomfortable. From Camilleri et al. (2014). These findings are exciting, because they provide insight into the mysteries of colonic transit and IBS-D. Perhaps direct modulation of the BA pathway (shown above) could help treat IBS-D. Knowing how specific genetic targets, such as FGF19, FGFR4, and KLB, interact with environmental stresses will also elucidate the development and onset of IBS-D. But still, I don’t really want to talk about IBS.. I tried to make this GIF make sense but failed. I hope you like it anyway. Based on the above section, you can imagine that after some preliminary research, I was not too thrilled about my gene choice. First, I am not a huge fan of bathroom humor for science (no offense, it can be cool). Second, β-Klotho just doesn’t seem that necessary for everyday function. Bile acid production is redundantly regulated, so loss of KLB just doesn’t seem like a big deal4. For example, the group that first discovered KLB made a mouse line that does not express the gene (“Klb(-/-)”)5. For the most part, the mice were fine. They were slightly underweight, but viable and fertile (though they had elevated BA levels and might have suffered from diarrhea..). If a knockout mouse can develop normally, that’s great for the mouse, but not as exciting for a blog post. Luckily, I continued reading and found out that excess rather than reduced FGF21-β-Klotho signaling has proven to be rather interesting and therapeutic. 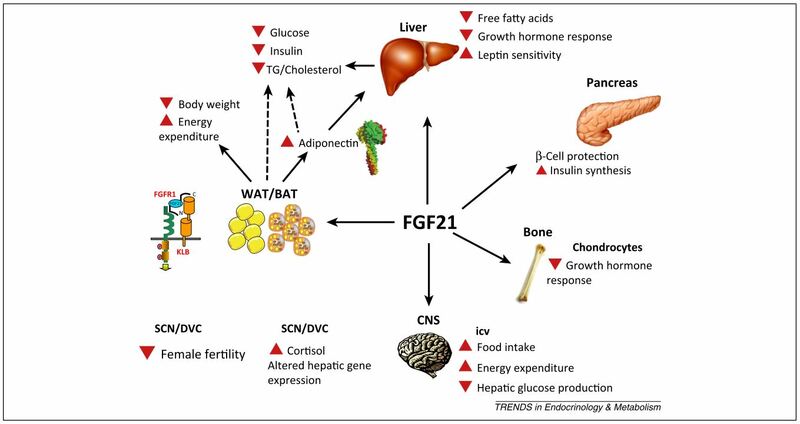 Exogenous administration of FGF21 causes anti-diabetic, lipid-lowering, weight-reducing effects in rodents, non-human primates, and humans! Now that’s exciting. These findings make the FGF21-β-Klotho signaling pathway attractive for the treatment of metabolic disorders. Activation of this pathway results in increased body temperature, enhanced fatty acid metabolism, increased insulin sensitivity, increased energy expenditure (without an increase in caloric intake), upregulated glucose transporter (GLUT1), and lowered white adipose tissue to brown adipose tissue ratio (WAT/BAT)6 . Meanwhile, thyroid hormone and adrenaline levels remain unaffected. FGF21 and KLB are maybe actually good for a lot of things! From Gimeno and Moller (2014). In obese patients, the relative expression of FGF19 and FGF21 is altered. In addition, levels of KLB expression are decreased in fat tissue but increased significantly in liver. It is unclear now how these levels are related to obesity and type-2 diabetes (increased KLB expression in the liver may be compensatory for decreased FGF19), but FGF21, β-Klotho, and now also FGF19, may provide crucial new targets for the treatment of metabolic diseases, such as diabetes and obesity78. 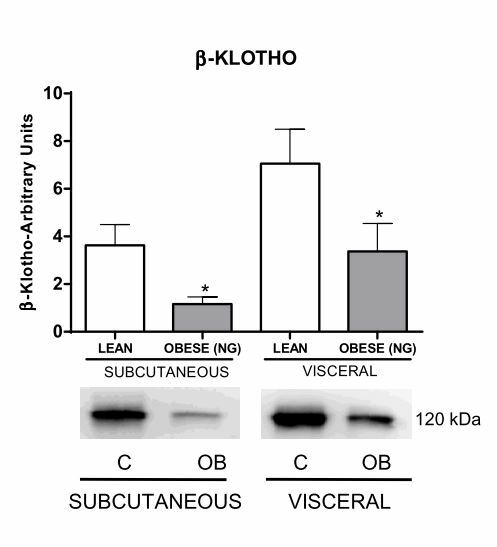 β-Klotho expression is lower in both subcutaneous fat and visceral adipose tissue from obese patients (NG = normoglycemic, though this is probably true for those with type-2 diabetes). From Gallego-Escuredo et al. (2014). So, okay, KLB antibodies could be useful for the treatment of metabolic disorders. That could be cool. But it gets even better. FGF21 is secreted by the liver during fasting. As mentioned above (but for the endogenous version this time), FGF21 can suppress physical activity, lower insulin, inhibit growth, alter circadian behavior, and increase lifespan. Bookout et al. (2013) recently discovered that if the KLB gene in the suprachiasmatic nucleus (SCN) is deleted, these effects of FGF21 disappear. The same group (from the “Mango” lab) also found that FGF21 is responsible for the inhibition of female fertility during starvation9. Therefore, brain β-Klotho is important for the behavioral/circadian and metabolic response to starvation. And if I am ever stranded in the desert with my khalasar, I really hope my people have fully functioning FGF21-β-Klotho signaling. In addition, here are a couple more cool things about KLB. Klb(-/-) mice exhibited resistance to gallstone formation. So maybe the β-Klotho system can be targeted for gallstone treatment10?! And even better, FGF4-β-Klotho interactions are necessary for the induction of apoptosis to inhibit hepatic tumor growth11! 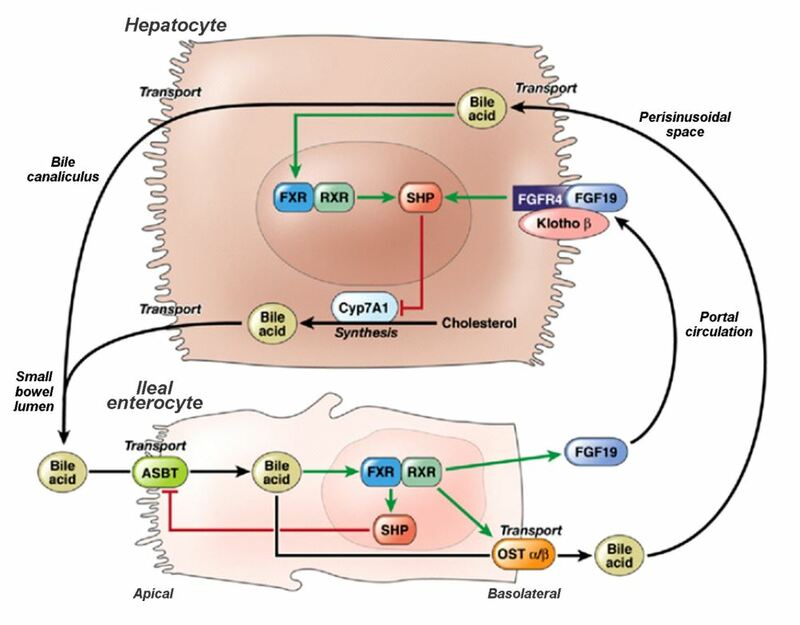 FGF4-β-Klotho signaling can also control the growth of non-hepatic cells, so ectopic expression of both genes may be useful for suppressing the growth of other types of tumors in vivo . 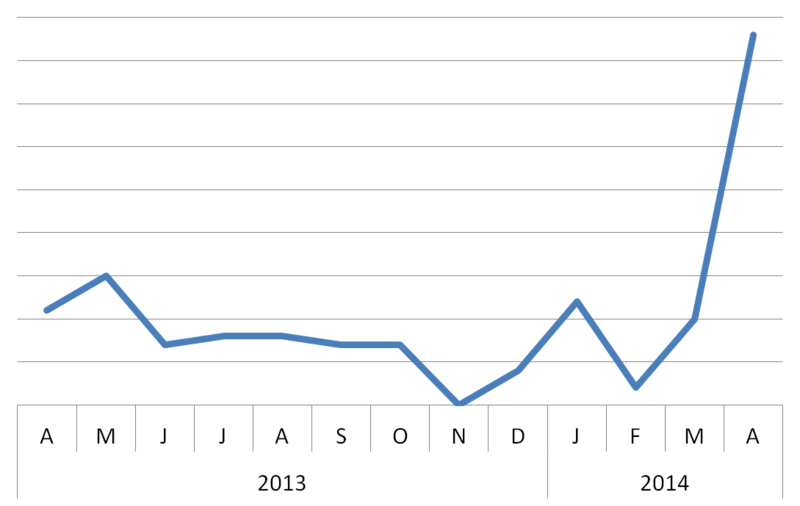 Beta-Klotho’s popularity rose when people realized it’s not just about IBS-D.